4 What is Omega 3? Discover how Omega 3 helps with hair loss. In order to have healthy hair and avoid hair loss, we need to make sure that we are getting enough of the right nutrients in our diets, including omega 3 fatty acids. Adding more of these fatty acids to your diet can help to prevent hair loss and even encourage hair to grow healthier, and at a faster rate. Omega 3 fatty acids have anti-inflammatory properties, which can help to open the hair follicles, promoting healthy hair growth. When the body is not getting the proper nutrients, the hairs that are lost regularly each day are not replaced easily, and hair loss may become a problem. Did you know that Omega 3 can help treat hair loss? Poor nutrition and lack of hair loss vitamins can lead to many health problems, including baldness, and Omega 3, along with other important nutrients, can help prevent and treat hair loss. Omega 3 is an essential fatty acid, one of the fats that our bodies need in order to be healthy. It is also necessary for healthy hair, and without enough of the right nutrients in the diet, including Omega 3, unhealthy hair and hair loss can follow. Each hair grows out of one follicle, and each time the follicle pushes a hair out, a new one forms in its place. Generally, hair grows about a millimeter a day, or a half an inch every month. Of course, this varies from person to person. Those who are not getting appropriate nutrition, and who do not get enough Omega 3 fatty acids, could end up experiencing hair loss, or at the very least, a lack of hair growth, which in itself can be quite annoying. Having healthy hair means having a healthy diet. 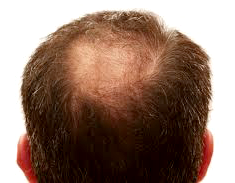 Hair loss is clinically referred to as Alopecia. Alopecia presents different and could refer to hair loss from the head and/or the body. Loss of hair from the head is the more common form of Alopecia and it can be seen from an examination of the scalp and the distribution of hair there. 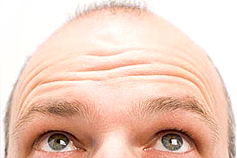 Males generally, but not always, start losing hair from the temples while female hair loss starts with thinning from the forehead and sometimes the crown. There are different causes of hair loss, the most prominent being genetics. Hereditary inheritance is responsible for the majority of cases of hair loss due to natural causes. Other causes of hair loss include hormonal imbalance, iron deficiency, scalp infections, system infections and excess Vitamin A. External causes include compulsive hair pulling, certain drugs, radiation therapy, and the use of some hair treatment products and regimens. Hair loss affects millions of people every year with 40% of men experiencing it at the age of 35 and by 60, the percentage of those who have discernible hair loss rises to 65.
and exogen, the hair loss stage signaling the start of a new cycle. Ideally, every day about 100 hair follicles fall out to be replaced by new hair growth. However, when the hair loss from the exogen phase exceeds the hair gain from the first 3 phases, then a clinical diagnosis of Alopecia is made. While ALA cannot be synthesized in the body, both DHA and EPA can be made from shorter-chain fatty acids although the conversion efficiency is rather low (5% in men; higher in women). Omega 3 fatty acids need to be ingested in humans either from dietary sources or supplements. They provide a wide range of health benefits including the treatment of cardiovascular disease, cancer therapy, improvement of neurological ailments, and as anti-inflammatory agents. Other disease conditions treated with Omega 3 include asthma, ADHD, bipolar disorder, diabetes, depression, Alzheimer's disease, lupus, osteoporosis, osteoarthritis, obesity, migraine, multiple sclerosis, high blood pressure, psoriasis and eczema. Cold water oily fish are the most important sources of EPA and DHA Omega 3 fatty acids while seeds are rich in ALA. Fish oils are also a rich source of Omega 3. Other marine sources of these essential fatty acids include green-lipped mussels and krill. Of all seeds, flaxseed or linseed contain the highest percentage of ALA with but is low in EPA and DHA Omega 3 fatty acids. Vegetables do not contain appreciable amounts of Omega 3 except purslane. Eggs and meats are also good sources of Omega 3 especially if the animals producing them were fed on Omega 3-rich diets. It is important to know that prolonged exposure of Omega 3 fatty acids to heat, light and oxygen can oxidize and denature them. Oils containing Omega 3 will turn rancid if so exposed. Therefore, dietary sources of Omega 3 should not be cooked for long, and frying removes some of the health benefits of these fatty acids. Omega 3 is only one of the essential nutrients needed by the body for normal functioning. While only a few clinical studies have examined the usefulness of Omega 3 in the treatment of hair loss, those few concluded that Omega 3 helps with the condition. By considering the total effect on Omega 3 on the body’s biochemistry including its beneficial actions on the integrity of cell membranes, nerve functioning and its anti-inflammatory action, it is clear that Omega 3 can prevent and even reverse hair loss. One of the popular cosmetic benefits of Omega 3 is the promotion of skin health. A healthy, well-oiled scalp, for example, means that the hair follicles are getting the proper nutrition. Omega 3 is especially beneficial to those whose hair loss is due to factors other than genetic. Even then, those with a genetic predisposition to hair loss can slow down the progression of their Alopecia with Omega 3. Furthermore, Omega 3 promotes the production and action of hormones that affect the health, tone, sheen and integrity of your skin and hair. It is also the source of the body’s natural lubricant for the scalp and big contributor to the sebaceous gland responsible for feeding hair follicles. Stress and aging are great inducers of hair loss, and Omega 3 reverses the signs and damage of these. 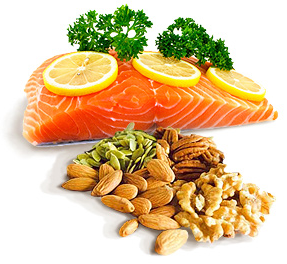 By promoting general health, Omega 3 fatty acids stop the cascade of biochemical reactions leading to Alopecia. Even though dietary sources of Omega 3 provide higher blood levels of the fatty acids than supplements, Omega 3 supplementation is recommended because most people never meet their daily requirement of Omega 3 from food sources. 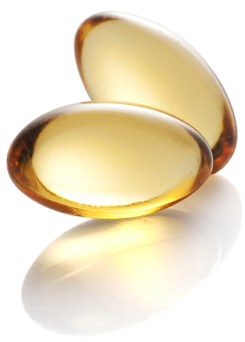 The most common Omega 3 supplements are fish oil in liquid and capsule dosage forms. Experts recommend 1 tablespoon of fish oil or 1 – 2 capsules of fish oil daily to prevent hair loss and promote hair regrowth. At these doses, Omega 3 encourages the anagen growth phase of hair follicles and reduces hair loss during the exogen phase. It also reduces skin inflammation and oils dry scalps. Since Vitamin E is a known fat-soluble antioxidant, consider adding it to your daily vitamin supplementation to help protect Omega 3 fatty acids from degradation through oxidation. Omega 3 doses exceeding 4000mg can increase the risk of bleeding. Therefore, those with a history of ulcers or other bleeding disorders, those on drugs such as blood thinners and aspirins, should consult their physicians before starting Omega 3 supplementation. It is important to note here that if you do have a lack of Omega 3 fatty acids and other nutrients, there are going to be much more than just hair loss problems to deal with. In fact, hair loss or unhealthy hair can be a sign that there are other, more serious health problems going on, and you should consult a physician. If you are experiencing hair loss, it is important to see your physician right away. The sooner you discover the cause and start working on a treatment for hair loss, the better it is going to work. One such treatment could include adding more Omega 3 fatty acids and other vital vitamins and nutrients such as vitamin E, beta sitosterol, inositol and more, to your diet.